PM fires back at US statement that Jewish homes hinder peace, says building in capital is the same as doing so in Paris or London. Prime Minister Binyamin Netanyahu vowed to ignore the torrent of criticism from the international community Tuesday, declaring that Israel would continue to build Jewish homes in Jerusalem. Netanyahu made the remarks during the cornerstone-laying ceremony at a new port in Southern Ashdod. 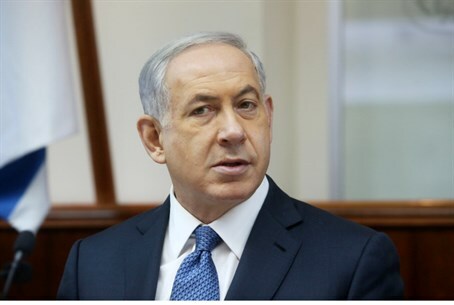 "We will continue to develop the ports in order to lower commodity prices, we will continue to build roads and railways to connect the center of the Negev and the Galilee, and we will continue to build in Jerusalem, our eternal capital," Netanyahu stated. Netanyahu reiterated that Israel has built Jewish homes in Jerusalem in the past, has continued building in the present, and will continue to do so in the future. "When Abbas incites the murder of Jews in Jerusalem, the international community is silent, and when we build in Jerusalem, that leaves them indignant," he continued. "I do not accept the double standard here." "The French build in Paris, the English build in London - that's the same as Israel building in Jerusalem," he concluded. "We will continue to build in Jerusalem and will continue to build here in Ashdod." On Monday, Netanyahu gave instructions for the building of about 660 homes in Ramat Shlomo, in northern Jerusalem, and about 400 more in Har Homa, in the capital's southern section. All of the tenders had been slated for construction from as far back as 2010. Earlier this month, he approved 2,610 building tenders from 2012 to be approved for full construction. Both decisions have been met with threats from the EU and the Palestinian Authority (PA), and drawn criticism from the US. On Monday night, State Department spokeswoman Jen Psaki said Washington was "deeply concerned" by the reports and American embassy officials were having high-level talks with Israeli leaders to seek more information. "We continue to make our position absolutely clear that we view settlement activity as illegitimate and unequivocally oppose unilateral steps that prejudge the future of Jerusalem," Psaki told reporters. "Israel's leaders have said they would support a pathway to a two-state solution, but moving forward with this type of action would be incompatible with the pursuit of peace," she added. Meanwhile, leftist organizations and the international community alike continue to remain quiet on the green light given for rampant illegal construction in Arab neighborhoods of Jerusalem, where there are more than 40,000 illegal housing units, in an attempt to establish facts on the ground to divide Jerusalem and establish the groundwork for a Palestinian state.